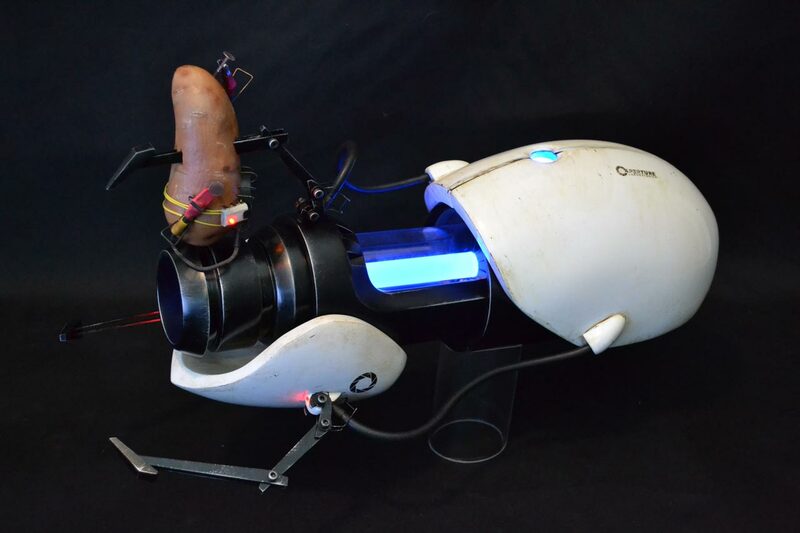 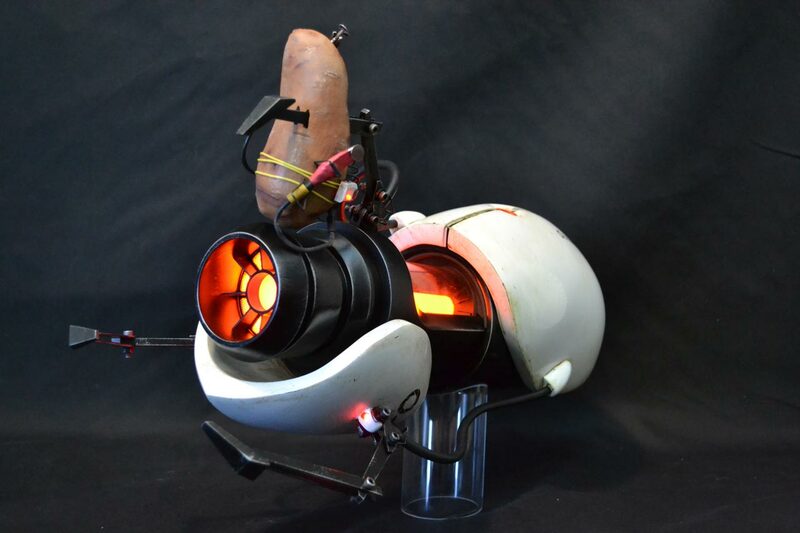 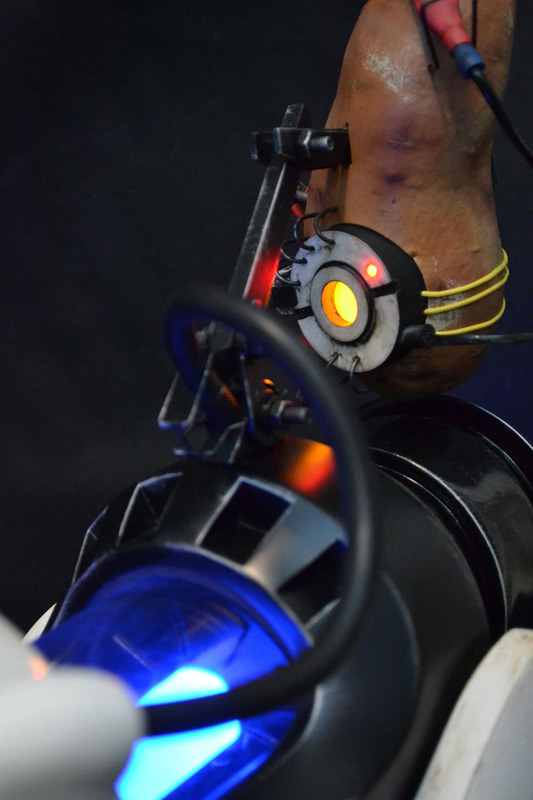 Built for display at the VALVe offices in Seattle, this Portal Gun features an embedded potato GLaDOS speared onto one of the barrel prongs. 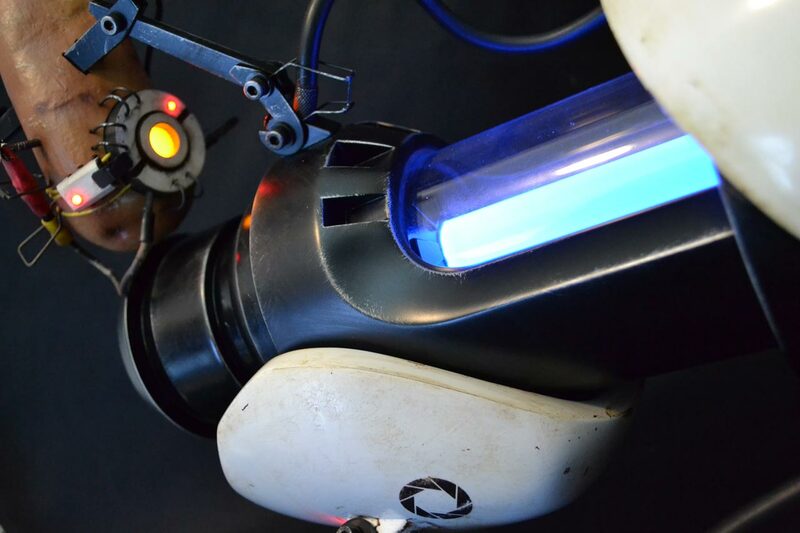 The gun itself has been modified from V1 with new decals and a heavier weathering job as it is seen in Portal 2. 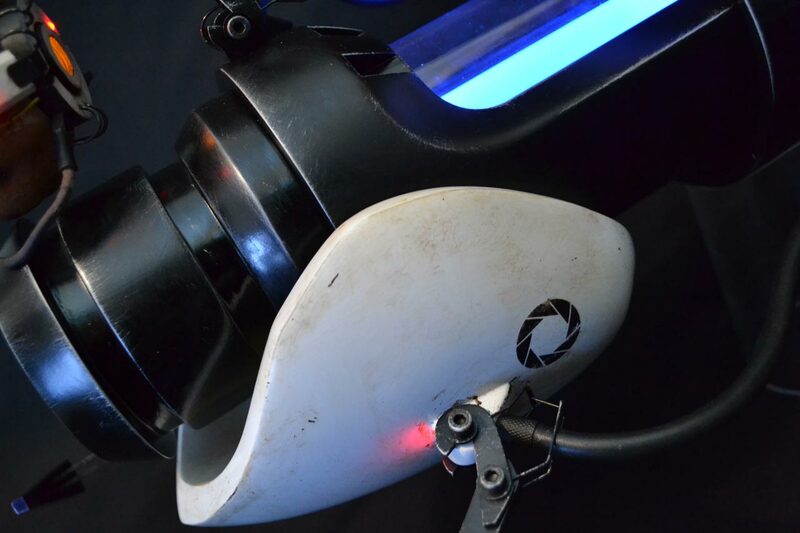 GLaDOS has five LEDs embedded into her “eye” and circuit chips, and pushing a small button on the inside of the gun will result in these lights flickering while she speaks one of fifteen different lines of dialogue from the game. 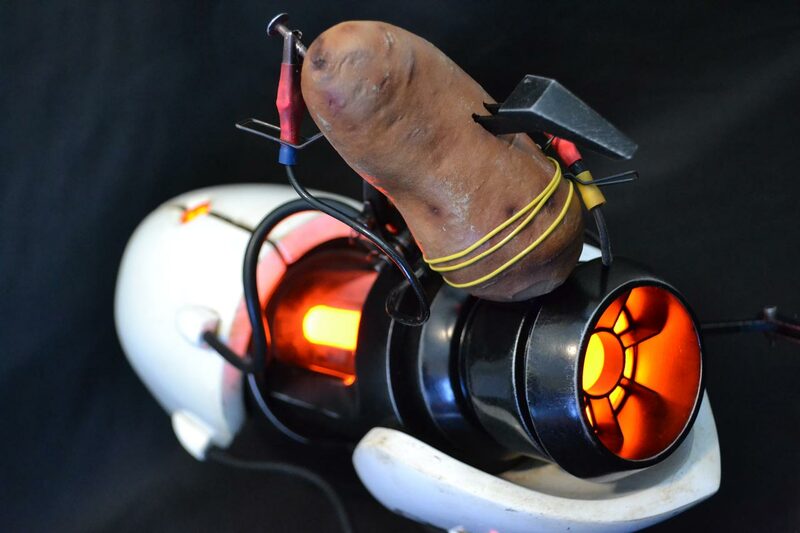 The gun itself features the same blue and orange illumination as my other projects, as well as startup, shutdown, and firing sounds. 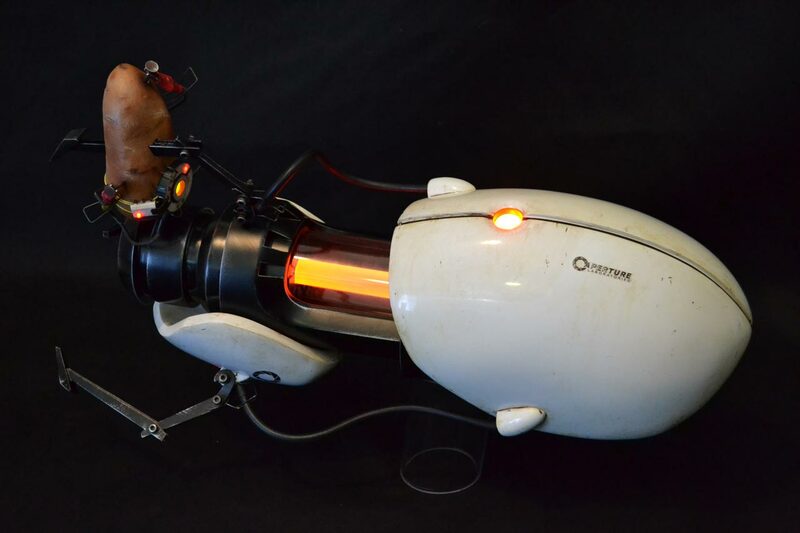 This gun can be seen very briefly in the Sony Playstation 3 “Michael” advertisement from 2011. 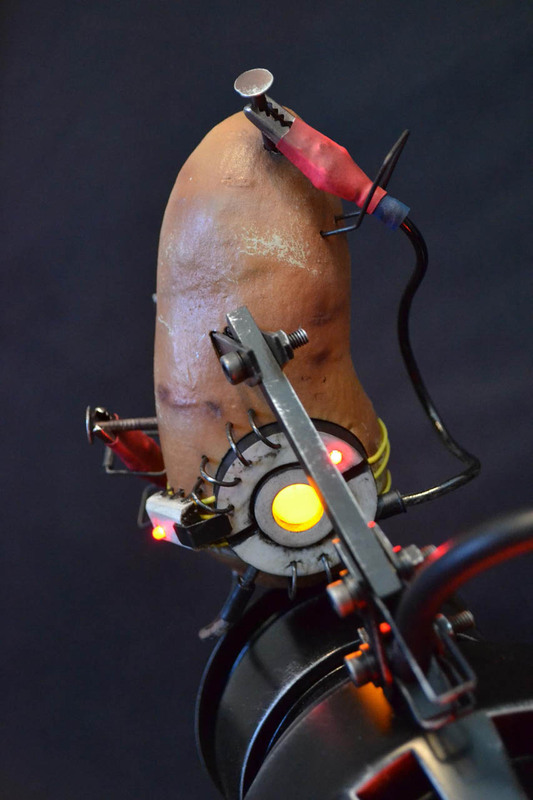 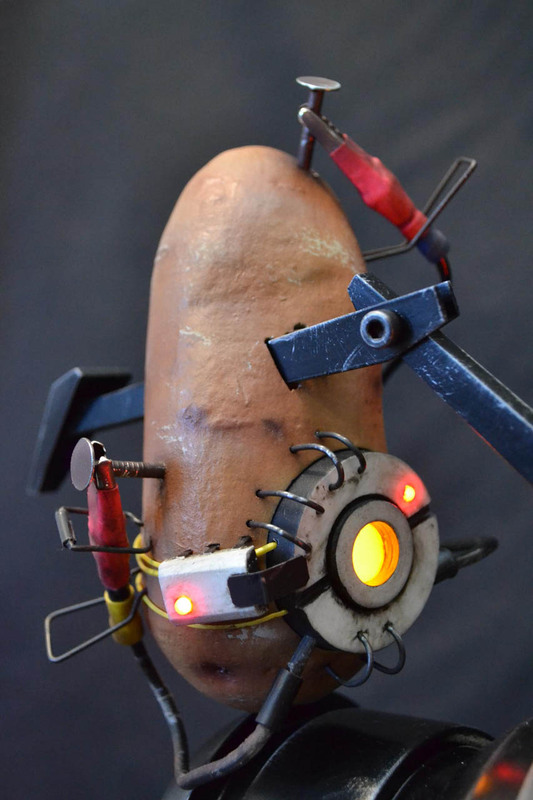 Click here for the GLaDOS Potato & Portal Gun design and build log.